5944 Fremont St Oakland, CA. 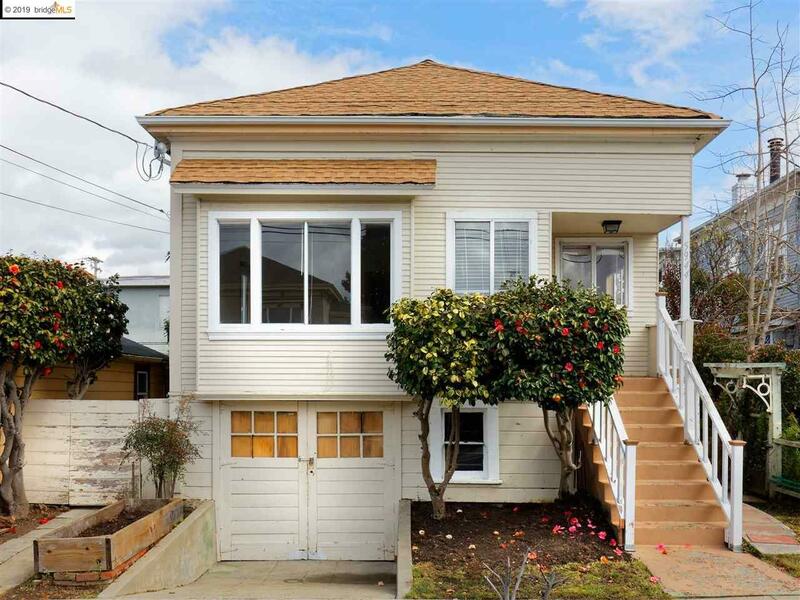 | MLS# 40857580 | Andrew de Vries, Probate Real Estate, San Francisco Probate Real Estate, Oakland Probate Real Estate, Berkeley Probate Real Estate, Alameda Probate Real Estate, Lafayette, Contra Costa Probate Real Estate, Probate realtor, Probate agent, Probate Broker. Rare opportunity to purchase a charming 1908 Edwardian Cottage in Oakland's sought-after Golden Gate Neighborhood - walking distance to local Oakland and Emeryville shopping, dining, recreation, transportation, employment and entertainment amenities - and make it your own! The home boasts a bright living room/dining room combination, eat-in kitchen, two ample bedrooms, and a full bath, PLUS a bonus unpermitted sunroom/laundry room and ½ bath. Cute low maintenance front and rear yards, plus a garage with lots of bonus storage under the home. Wonderful location steps from local parks, rec centers, San Pablo Ave and Powell Street shopping and dining, public transit and easy 580 freeway access. This is a great opportunity for 1st time buyers, condo trade-up buyers, or those looking for rental property. Come out and see the possibilities unfolding in this special corner of Oakland!